is full profesor, choir maestro, conductor and research worker at the Music Academy named after S. Moniuszko in Gdansk and at the University of Gdansk. In the years 1999-2005 he acted as deputy dean of the Faculty of Choral conductorship. In the years 2005-2012 professor Tomczak was pro-vice chancellor of the Gdansk Music Academy for artistic and student affairs. In the years 2012-2016 he was the Head of the Chair of choral conductorship. Since 2016 he has been the director of the Institute for Choral and Oratory-Cantata Music. He is lecturer at Post-graduate Choral Maestro and Voice Emission Studies at the Music Academy named after Feliks Nowowiejski in Bydgoszcz. 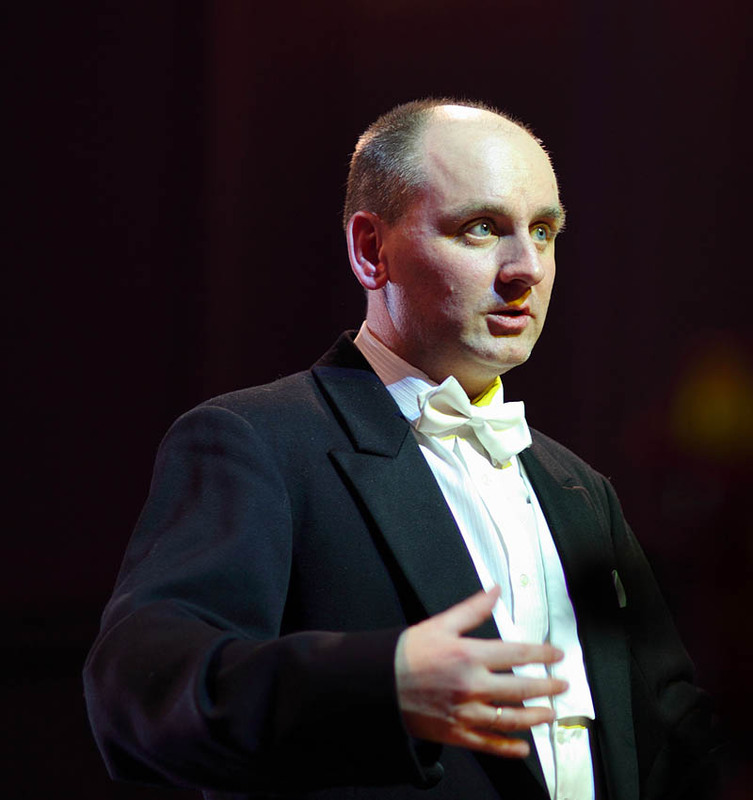 Since 1992 he has been director of the Gdansk University Academic Choir. With this group he toured Poland and also made many tours abroad, performing in Austria, Croatia, Czech Republic, France, Spain, Germany, Slovenia, Sweden, Ukraine, Italy, USA, South Korea, China, Argentina and Ecuador. Under his leadership the choir won foremost national and international rewards, among others Five Grand Prix: in Vien (Austria), Pardubice (Czech Republic), Vilnius (Lithuania), Ohrid (The Republic of Macedonia) and Barczewo(Poland). Maestro Tomczak is the winner of numerous individual conductor’s rewards (Poland, Korea, Czech Republic). He has won many university rewards as well as national and Pomeranian region awards. Among others he became the laureate of the Honorary Award of the Society of Friends of the Arts for artistic creativity in the field of music (2002) and the laureate of the Mayor of Gdansk Award in culture Splendor Gedanensis (2005). He has cooperated with world famous artists: Krzysztof Penderecki, Jan AP Kaczmarek (world premiere of “Cantata for Freedom”, Symphony “Emigra”), with Leszek Możdżer (the premiere of “Missa Gladiatoria”, with Ennio Morricone, and Jean Michelle Jarre, as well as Mikis Teodorakis, (the audio-recording of the opera “Metamorphoses of Dionysus”) and symphonic orchestras at Gdansk Music Academy and at Bremen University. As conductor professor Tomczak cooperated with many orchestras: Polish Baltic Philharmonic, Koszalin Philharmonic, Sinfonia Varsovia, Academic Symphony Orchestra of Gdansk Music Academy and Symphony Orchestra of Bremen University. As a guest conductor he led the concert of Polish music in Korea given by Guacheon City Women’s Choir. He has run workshops on Polish choral music in Romania and Korea. On Numerous occasions he was invited to be member of the jury at foreign festivals and competitions (Greece, Lithuania, Macedonia, Romania, Slovakia, Italy). He has been the artistic director and chairman of the Jury Of the International Choral Festival Mundus Cantat since 2007.
has extensive musical education. He obtained Master of Music degree at Keimyung University, majoring in instrumental music, and master’s degree in choral conducting at the University of Southern California in Los Angeles. He also took master’s degree in Orchestral and Opera Conducting in Novosibirsk National Music Conservatory, Russia. He achieved renown as the conductor of Pilgrim Mission Choir, among others, in 2002 at 2. World Choir Olympics’ in Busan and in 2004 at3. World Choir Olympics in Bremen. In 2010 his choir won Grand Prix at 49. Seghizzi International Choral Competition in Gorizia. In 2004 maestro was artistic director at the International Choir Festival in Daegu, and in 2013 in Yeosu. After his long stay in the USA Lee came back to Korea in 2000 and founded the Gala Orchestra. The orchestra has won high praise from the media and great admiration from the audience. In the year 2003 Lee became lecturer at The National Institute of Art in Cuba (ISA de Cuba) and International Director of the Cuban National Opera Company. Lee has often been invited as guest conductor by many orchestras and operas, both in his native country and abroad. He gave concerts in such countries as Cuba, the Philippines, Spain and Russia. He conducted many outstanding musical works by such composers as Mozart, Beethoven, Tchaikovsky, Brahms and Mahler. 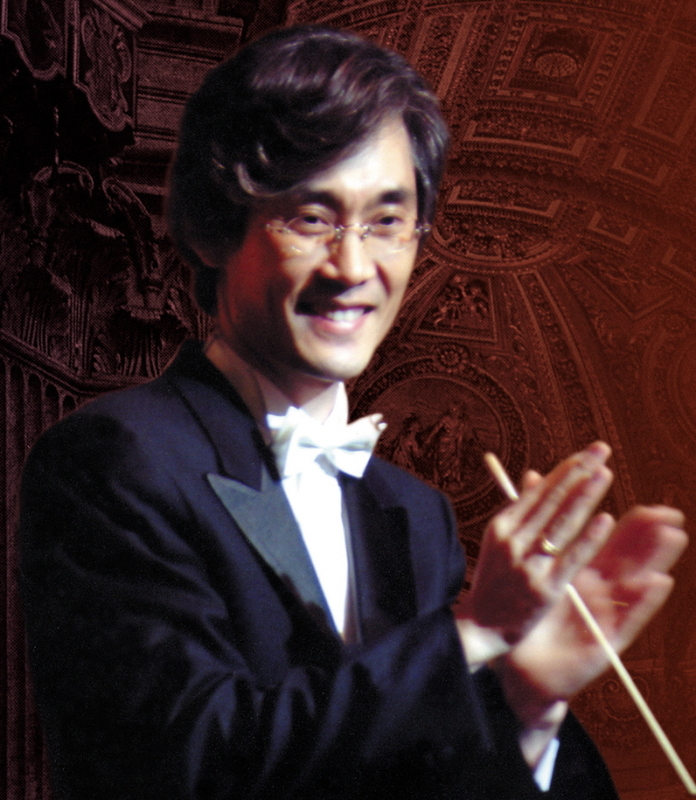 Currently Maestro Lee has founded Pilgrim Music Foundation (PMF) on the island Jeju. PMF is building Jeju International Genius Musical Academy (JIGMA), in which exceptionally gifted students will be educated in the nearest future by the internationally famous musical specialists. He is also artistic director of many musical institutions, such as Novo Philharmonic Orchestra, Pilgrim Mission Music Center, International Youth Orchestra Study Group (IYOSG) and Yenoeul Music Center and also a visiting professor at Santo Tomas Music Conservatory in Manila. studied conducting at the Music Academy, University of Ljubljana and piano music at the Giuseppe Tartini Music Conservatory in Trieste, where he has been professor since 1983. 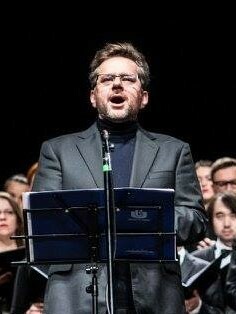 He has a lot of experience in the work with choirs: he led the children choir Glasbena matica Trieste, the girls’ choir and youth mixed choir and the re-established by himself Jacobus Gallus choir (1991). For ten years (1992-2002) he was the artistic director and conductor of the renown APZ Tone Tomšič choir of the University of Ljubljana. It is with this choir and Vokalna akademija Ljubljana (2008) that he had prestigious international artistic achievements: five Grand Prix in Tours 1999, Varna 2001, Gorizia 2001, Maribor 2002 and Arezzo 2009. In 2003 he was appointed the conductor of the Slovenian project choir and the chief conductor of the Chamber Choir of RTV Slovenia (national radio and television choir) which he led for two years. 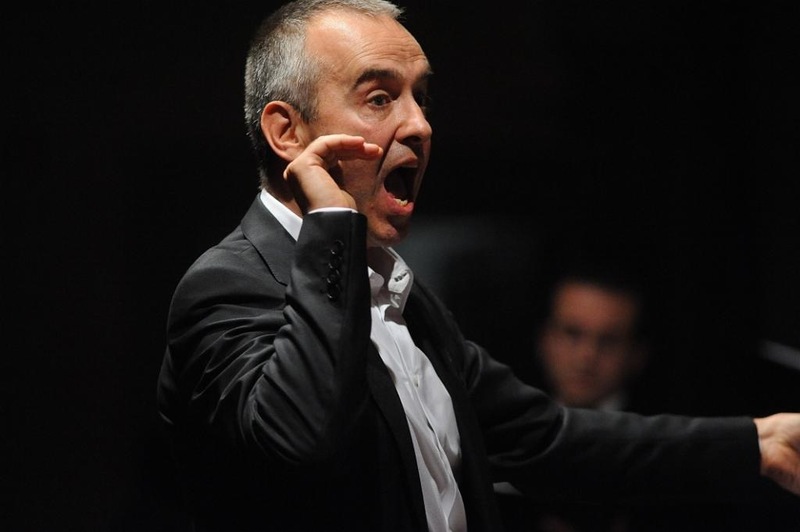 Since January 2007 he was the conductor of the Italian youth choir Coro Giovanile Italiano for two seasons. In Arezzo, 2011, he received the prestigeous Guidoneum award for the successful and creative work with Vokalna Akademija Ljubljana. In 2012 he received the Prešeren foundation award, the highest national recognition in the field of culture. Last year he received another presigeous reward for his cultural work for the Republic of Slovenia. At present professor Kuret acts as choral maestro, choral conductor and is a frequent guest at seminars, home and abroad (Budapest and Riga). He is also a regular member of thejuries at the major international choral competitions. studied at the National School of Music and at the National Autonomous University of Mexico (UNAM), specializing in Choir Conducting. He has founded and directed, among others, the children’s choir of the German School in Mexico City, the Ars Cantata Vocal Ensemble, and Staccato, the National University’s choral ensemble of resident students. 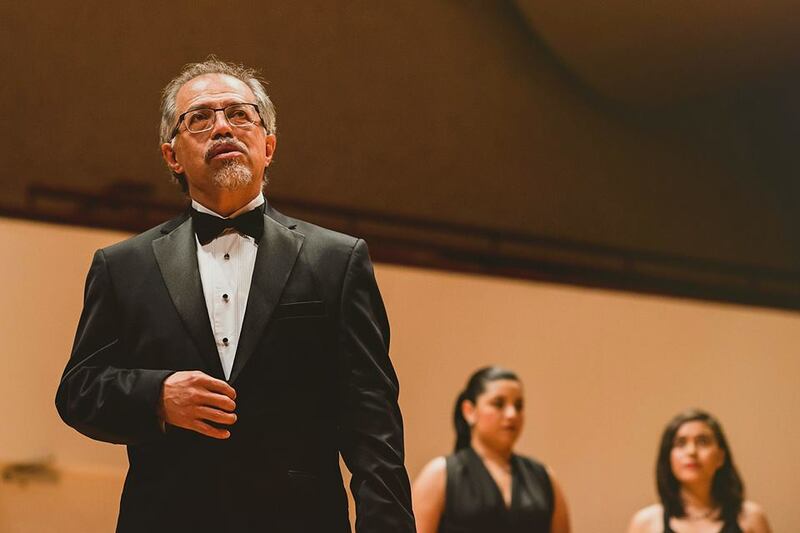 Ugalde has been a professor in a project designed to train new choral directors throughout Mexico, and has acted as director of several of the centers connected with this project in several cities across Mexico. In the year 2000, he was invited to give workshops on Mexican music at the World Expo 2000 in Hannover, (Germany). In 2003, he acted as guest conductor of the Centennial Choir at the concert performed by Luciano Pavarotti in Mexico. In 2007, he offered a conference and directed a workshop devoted to Mexican music within the context of the 6th International Festival America Cantat, held in Brazil. In 2009, he participated in an international Master Class for Choral Conductors, which took place in the Marktoberdorf Academy of Music. He has attended conventions, symposia, and festivals in Germany, Denmark, France, South Korea, Croatia, Canada, the U.S., and Cuba. With Staccato, he has done four international tours, as well as having won important distinctions and awards in several international competitions. In 2016 he gave a lecture on Mexican music at the Ars Choralis Festival in Zagreb, (Croatia). In 2017 he was invited as a member of the jury and also to give a workshop on Mexican music at the Musical Impressions Festival in Bydgoszcz, (Poland). From 2016 to 2018, he will be the recipient of a grant from the National Fund for Culture and the Arts (FONCA), which will enable him to carry out a research project and promote the music of the 20th and 21st centuries, especially Mexican music. The project will also allow him to hold workshops and conferences on Mexican and Latin American music and to give concerts with Staccato within Mexico and abroad. is a graduate of the Academy of Music in Cracow, the faculty of pipe organ and conductorship and pofessor of Musical Arts. As an organist, chamber musician and conductor he has given concerts in most European countries, he conducted at among others: the Berlin Philharmonic Orchestra and the Lepipzig Gewanhouse Orchestra, as well as in the USA, China, Israel and Japan. Professor Delimat also performed with many distinguished orchestras and choirs. In 2000 heestablished chamber choir Kantorei Sankt Barbara and orchestra L’Estate Armonico with whom he performed, at home and abroad, dozens of vocal and instrumental compositions of various styles and periods, and made numerous recordings. He has received many awards and honorary mentions and hes been the juror of many festivals and contests in Poland and abroad. Wiesław Delimat is the Professor of the John Paul II Pontifical University in Cracow where he holds the positions of Deputy Director of the Intercollegiate Institute of Church Music and the Head of the Chair of of Church Music. He is also the Director of the Archdiocesan School of Music of the 1st and 2nd Levels, the Vice-Head of the Archdiocesan Commission for Church Music and the President of Board of the Polish Federation of Caecilianum. For his pedagogical, artistic and organisational activities he earned numerous ecclesiastical and state awards, of which the most prestigious is the The Pontifical Equestrian Order of St. Sylvester, granted by the Pope Benedict XVI.